If you have any questions or want to enquire about dates, use our form to contact Newington Family or see their website for more information. The Newington family hotel is a haven of peace surrounded by fields and grazing cows. 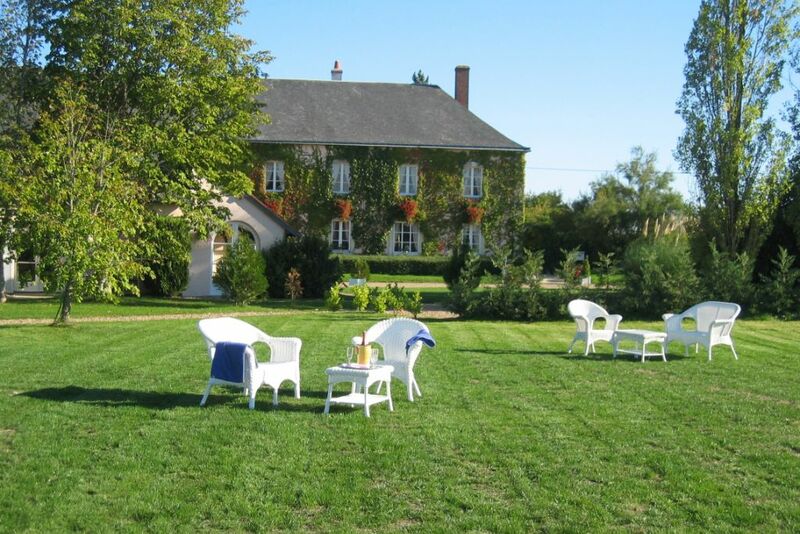 The basics at Le Fleuray are ideal: a solid, handsome old manor house with duck pond and barns, mature trees and bushes, swimming pool, hot tub, tennis, kid’s park and bikes – all that’s needed. Then there’s the country-house mood: lightly floral sofas into which you can sink, bookcases, prints and flowers. The rooms in the converted barns are just right for families; slightly cut off from the rest, they have French windows opening onto the garden so each has an individual patio. Those in the main building are a bit smaller but cosy and spotless, with queen-size beds. In summer, you can dine on the terrace. In winter, apéritifs are served in front of a log fire. A young French chef, who comes with quite a pedigree, produces a delicately inventive and well-presented cuisine; the restaurant is one of the most popular in the area. Expect a genuine welcome from family and staff – they know the best châteaux to visit and some lovely walks. Amboise is a short hop away. 4 November - 20 November, 23 December - 26 December. Breakfast €15. Children's breakfast €9. Dinner €29-€39. Children’s meals from €16. Wine €18-€24. What an excellent find. Everything we wanted. Lovely family run hotel, bilingual, clean and friendly. Had a bath for me and a restaurant for my husband. Exceptionally comfortable bed and brilliant value for money. In a lovely quiet location but ideal for touring the Loire vineyards (Vouvray is our favourite) and the wonderful chateaux of the area. Highly recommended. Sawday did well to unearth this gem, situated in the middle of nowhere, but a very beautiful nowhere. Ticked all the requisite hotel boxes and more - outdoor pool (heated - a bit), hot tub and very good cuisine in its restaurant, which was sensibly priced. Well located as a touring base for the delights of the Eastern Loire - Chateau Chenonceau, for instance, is about a 35 minute drive. High quality accommodation and good value for money. So convenient for the Loire, wine, Chateaux, and only half a days drive from the Coast. Rooms are very comfortable and bathrooms similarly. Food is good. Only quibble no air con in the rooms which can be hot in summer. Marvellous stop if you have dogs. The most charming place,with exceptional service and a superb restaurant.Delightful staff who could not be more helpful.A special place. We visited Le Fleuray at the end of a cycling holiday to relax and unwind. It was the perfect choice - the room was really comfortable and beautifully decorated, the staff couldn't do enough for us and the food was superb. Will definitely be returning! Lovely peaceful location, rooms large and comfortable. Pool great to come back to after a hot day of chateau visiting. staff friendly and helpful. Food lovely although the innovative young chef has now moved on so it will be interesting to see how the menu develops. Breakfasts exceptional. If you want to be more active try canoeing, horse riding, hot air ballooning and helicopter rides over the Châteaux. Take a Segway tour around Amboise. Explore by our free bikes!